Noah has built an extensive network through his time divided between Wall St. and Main St. After graduating from Indiana University in 1999 with a double major in finance and business law, Noah honed his investment management skills by working in a variety of financial capacities during stints at Goldman Sachs, Barclays Capital, and Bank of New York. While employed there, he learned the art of balancing portfolios, trading different investment vehicles, and providing excellent customer service. 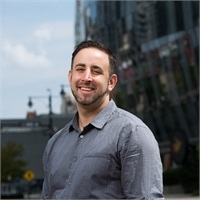 Seven years later, Mr. Chait changed gears and left the business to join the world of sports and entertainment as an independent consultant. There, he worked closely with top athletes and musicians in branding careers and helping focus on quality of life after their careers were finished. It’s the combination of the skills he's learned from these two professions that has led to an exciting partnership with Crossroads Financial.